A writer with a toolbox chock full of pegs both square and round. Trust and Toyota: What is Brand These Days? Take a stand against marketing pollution. Multimedia such as video and Flash/Silverlight presentations can be a really effective way to get a message across. With short videos, such as the Gene Mills series I wrote for BlueVolt, a complex marketing message can be concisely delivered to an audience that stays engaged. Keep them in their seats until the credits roll. Adding interactivity, such as the Microsoft Forefront project, allows the viewer to explore the information in their own way, focusing on what interests them. I can conceive and collaboratively produce the media that best suits your message. I know some great designers and video pros who can make it come to life, too. Wrote and storyboarded a series of online videos demonstrating the value of BlueVolt training for wholesale distributors. Used a quirky character to relate to the audience and deliver the message of the importance of training to business success. 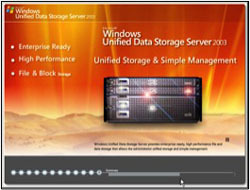 Developed a Flash presentation collaboratively with client, audio engineers, voice talent, and Flash designer for Microsoft’s new data storage platform. Wrote, storyboarded, and recorded voiceover. Subject matter expert for an extensive series of projects developing collateral for a new line of Microsoft security products. 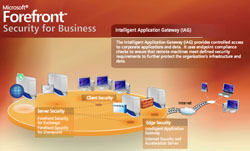 Through several contracts, worked collaboratively to explain a complex line of security products. Deliverables included scripted slide decks, interactive demonstrations, and white papers.